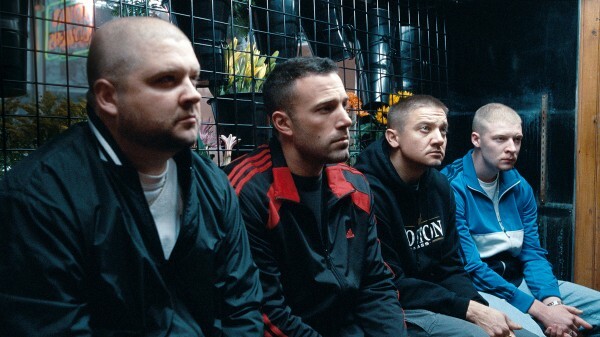 After his stunning debut with Gone Baby Gone, Affleck returns with another portrayal of the Boston criminal class. This time it’s a combination of a glossy Michael Mann-style heist thriller and and a European police procedural, with Affleck as the leader of a small group of career bank robbers. He’s hindered as much as helped by his colleagues, who include a pudgy Jeremy Renner adding to his fine collection of slightly nutty tough-guy characters. Jon Hamm plays the police chief who knows something is wrong as soon as he interviews bank manager Rebecca Hall, the object of Affleck’s affections as well as his blindfold. Adapting Chuck Hogan’s novel Prince of Thieves, Affleck proves surprisingly strong where you expect him to be weakest: the bank robberies and action scenes are brilliantly staged, whereas the quieter moments, so moving and convincing in Gone Baby Gone, are relatively patchy. Renner steals all his scenes as the man who could explode at any second, and the supporting cast does its best with the time available – Chris Cooper and Pete Postlethwaite among them. In fact the whole movie feels a bit rushed, Affleck is faithful to the novel in places, then seems to rush others – the ending is changed but probably would been better left alone. This is one of the rare cases where the material would have been better served by a 3-hour marathon, and hopefully Affleck will restore it in a director’s cut at some point.